If you have never had the opportunity to speak with a FSBO seller as a loan officer let me be the first to tell you they are real people, they have a problem even if they don't know it yet, & they don't hate you or hate real estate agents, they just simple don’t see the value you can offer them yet. 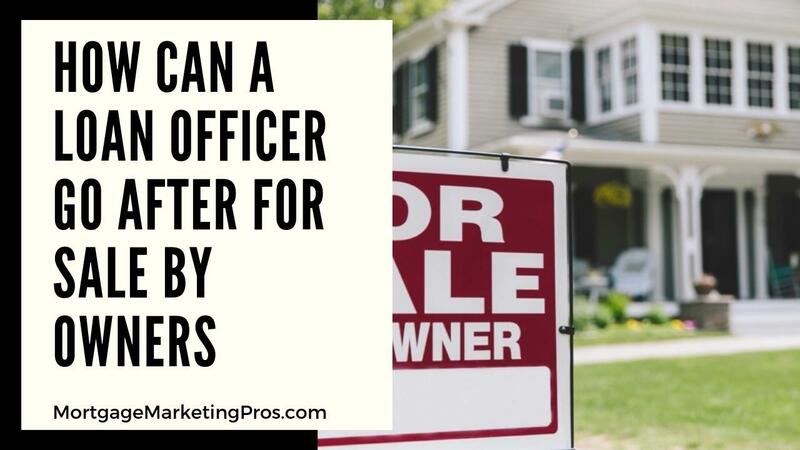 FSBO sellers need to sell their home and they have decided to give it a go themselves to save money because they feel that is the best thing for them. In order to find out if they are worth your time and investment to list their home speaking with them and finding out their motivation and desires, along with the real estate knowledge, is a great way to get to the bottom of things.